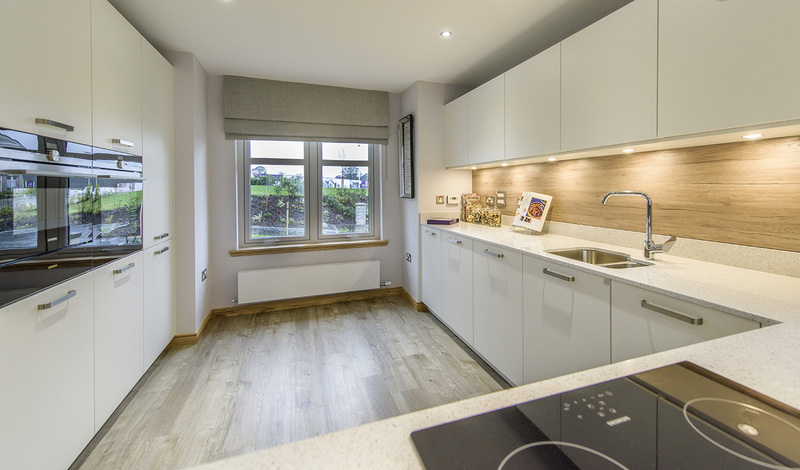 This site for Muir Homes is a flagship development and their first in the Aberdeen Market. Our brief was to create a high level of specification using quality, contemporary products and gadgets for a range of different family house types. The footprint was a semi-open plan kitchen to a family room, with a separate utility, boot room and dining space. 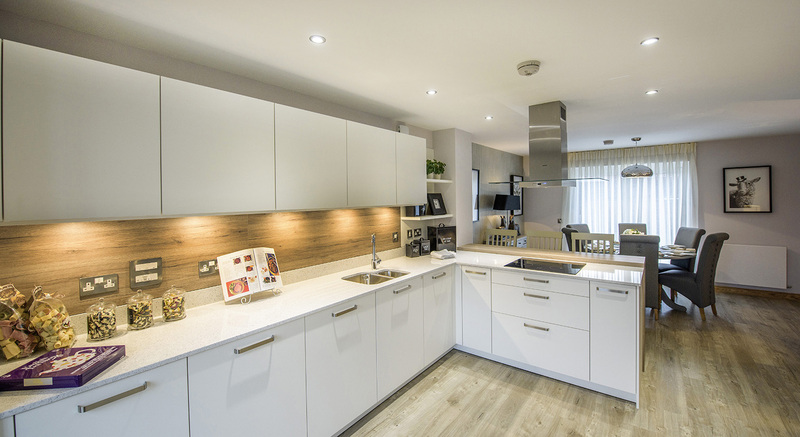 Using contemporary Leicht lacquered gloss furniture, we created a tall bank of handleless units to house a tall fridge, freezer and block of Siemens appliances, including: Single Oven, Combination Microwave Oven, Steam Oven, Coffee Centre and warming drawers. 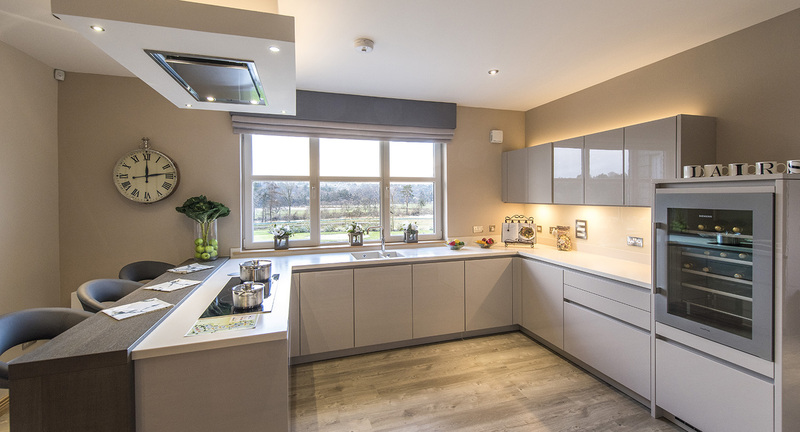 This provided plenty of ‘gadgets’, as well as a comprehensive cooking and refrigeration platform to suit a large family home. A peninsula was incorporated into the design, home to both an induction hob and breakfast bar; creating a sociable, working kitchen.